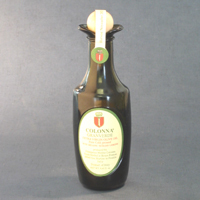 The Colonna Estate is an olive grove in the Molise region on Italy’s Adriatic coast. 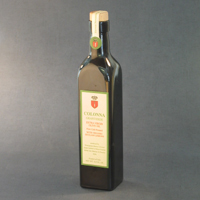 It is distinguished not only for its extra virgin olive oil, but is highly regarded as the producer of extra virgin olive oil directly pressed with organic lemons, oranges and tangerines. Principessa Marina Colonna, daughter of Prince Francesco Colonna, personally operates the family’s extensive farm holdings. The olives are manually harvested when slightly under-ripe and pressed and milled on the same day at the estate. Seals and bottle labels feature the family’s red coat of arms – one of the most widely recognized icons of medieval Rome. Unfiltered extra virgin olive oil pressed with organic Sicilian lemons. Condiment for fish, chicken and red meat. Drizzle on cooked vegetables and brushetta.